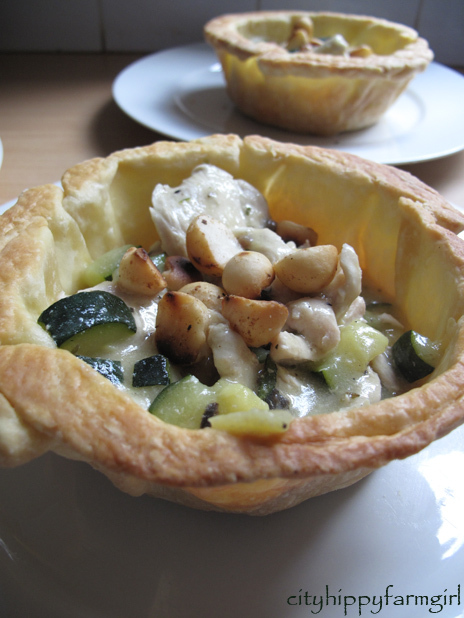 This entry was posted in Food Glorious Food and tagged chicken pie, cooking, easy, food, homemade, macadamia, open pie, pastry, recipes, simple, yogurt pastry by cityhippyfarmgirl. Bookmark the permalink. Brydie, they look gorgeous. Perfect built in bowl – would be great for so many things! If ever you are tempted, this is the laziest way I have found to do the pastry. Really easy. Genius – yoghurt in pastry. Your pie shells are perfect. I am looking forward to trying this recipe soon. I am putting it to the top of my “To-Try” recipe pile. Let me know how you go if you make it Mandy. Like using mascarpone as icing for cakes, I don’t think I would go back to making yogurt-less pastry now. Super duper easy! My my my, what fabulous translucent pastry – does it have a name? I must show this to B, he is a pastry fanatic! I’m not sure… is it shortcrust with those ratios? Thanks Johanna. I think it works much the same way as the sourcream? Joanna is right! It’s so fine!! I usually put yoghurt in my baking, but never tried it for pastry! And the macadamias are such a delicious treat to find when you crack the shell!! Perfect Autumn fare! Yep, the maccadamias give the whole thing a bit of texture. I agree with everyone- that is beautiful pastry! 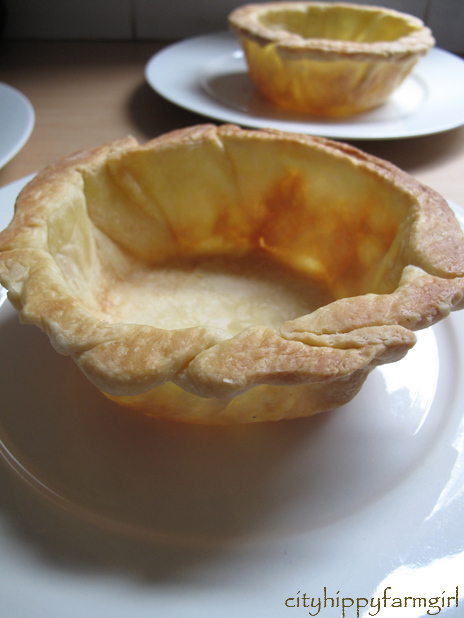 I’ve used vinegar and sour cream, but never yogurt in pastry. I’m going to give it a try – thanks, Brydie! I still get confused with what vinegar actually does to the pastry, but whether I’ve made it with yogurt or just water the vinegar seems to give a better consistency. Maybe the vinegar doesn’t need to be there if the acid from the yogurt is already there? I don’t know…. I’m nervous to change the recipe after waiting for so long to find the ‘right’ one though! These look great and so translucent that I could almost pretend they are healthy. 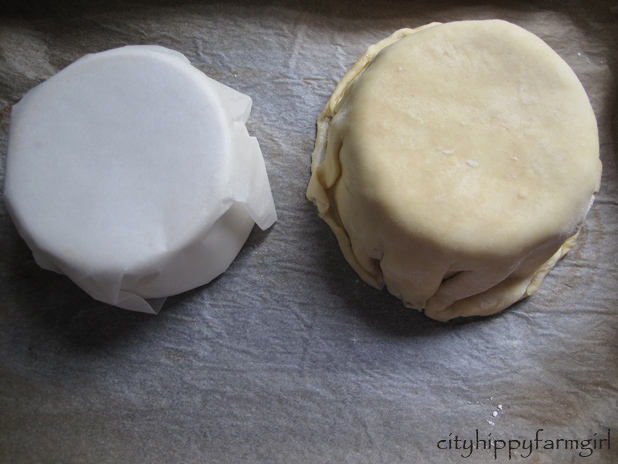 Does the bottom (the top) boof up when they are cooking – I always have to weight pastry when blind baking to stop that happening. They do boof a little. Half way through the cooking I just use a spatula or a flipper to pat it down a little so they will come out flat. If I don’t the bowls just rock a little. Your posts always make me hungry. Especially when I look at them in the mid-afternoon. Oh, this is pure poetry. Gorgeous. I love your photographies. my stomach just started growling. seriously. I’ve had this one bookmarked to come back and read properly. Now I need to stop salivating and think about making it!! I don’t own a food-processor – any suggestions? Rubbing the butter in etc? Yep, just rub that butter into the flour until it resembles bread crumbs. Should be fine. If you have cold hands, and don’t melt the butter even better. Hang on, I’m popping over….